What Is the Best Casino War Strategy? One of the easiest casino games, not to mention nostalgic is casino war. I remember being young when the weather was too crummy to go outside, and I’d end up sitting inside with my friends playing the simple game of war. 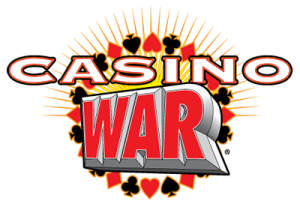 Casino war can also be known as Royal Rumble or Battle Royale. If you ever get a chance to hit up the casino war table at a casino, the game will probably be instantly familiar to you. Because the rules are extremely simple, it can be a fun game to play, but it can become monotonous after a while. Its simplicity is what makes it attractive game, so if you’re new to gambling or just want to warm up with an easy game, it might be your best bet. After all, if you can count, you can play. After wagers are made, the player and dealer are both dealt one card. If the player’s card is higher, he wins exactly what he bet; if the dealer’s card is higher, the player loses his bet. If the player goes to war, he or she must bet at least the same amount of the original bet, although it can be increased even more. The dealer does the same, but this is only for show. The dealer will then burn three cards (discarding them) and deal each of them another card. 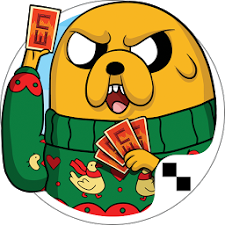 If the player’s second card beats the dealer’s, he will win even money on the raise, and the original bet will push. If the dealer’s card beats the player’s card, the player will lose both bets. At some casinos, if the war results in another tie it will result in a bonus equal to the original wager. Some casinos also allow the player to bet on a tie, which pays 10 to 1. The house edge in war lies in what happens if you reach a tie. Will you choose to surrender or go to war? The strategy of war is difficult, because, other than the amount you wager, your only choice is to surrender or go to war. Essentially, the best strategy is to go to war every time you tie with the dealer. As General Patton would say, “Never surrender.” If you’re willing to risk more money in an effort to get your original bet back, you can do that, as well. For example, if you originally wagered $5 and you tie, you might wager $10 next time so you don’t just end up breaking even with another $5 bet.